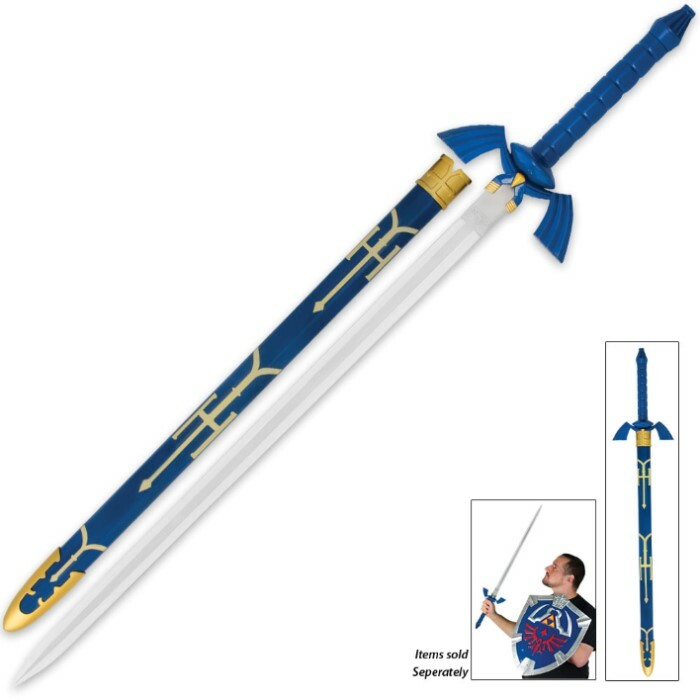 This gaming-inspired replica Zelda sword features a high-polish stainless steel blade with a decorative hard plastic handle. The painted scabbard houses the massive blade with tons of style and attention to detail. Measures 36" overall. This sword came today! It is amazing quality. Great weight and very durable! Everything I wanted it to be. The only thing is that the detailing on the scabbard was white instead of gold when I received it, but not a big deal at all! Great find! This sword is absolutely beautiful. The hilt came with a little grime/dirt on it but nothing a little elbow grease couldn't fix. The sword didn't come sharp but I'm not sure if that's state law or if it was just budk, but I have no regrets. I had bought this for my brother some time back. Worth every penny. Great quality! 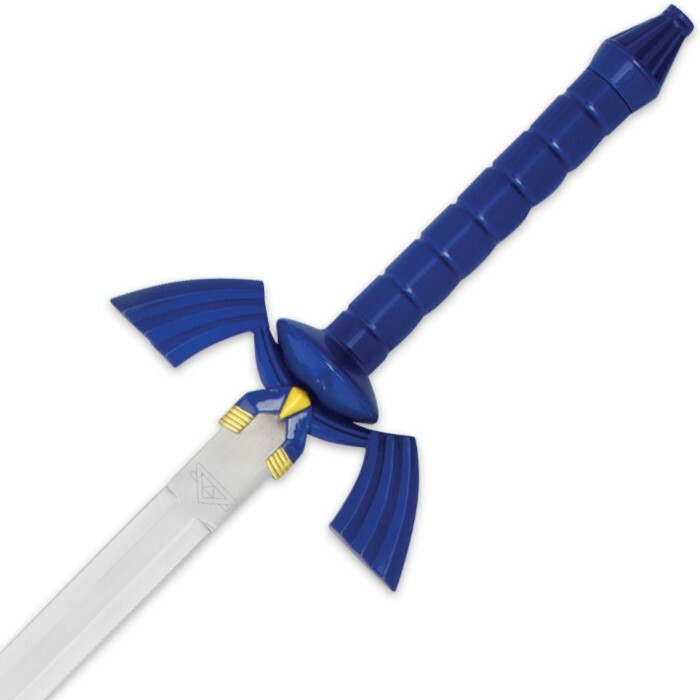 It's the best sword ever???? Got this for a part of a Christmas present for my sister's boyfriend, got the package and had to check out the sword for myself before wrapping it in preparation for the holidays. It is awesome! A great solid piece and it will look good in any collection. This sword was everything I was hoping for!! So awesome! I just got this sword, and I love it! another solid item for my collection. thanks BudK!